Treasure Island and adjacent to St. Petersburg. Sunset beach is a little dead end barrier island on the Gulf of Mexico and primarily made up of houses and small condos. There is little traffic, only two restaurants and a magnificent beach and small boardwalk along Boca Ciega Bay. Although we did most of our walking on the beach, we also walked through the community and noticed that many people had really special mailboxes. Here are a few of the better ones. For the last 5 weeks we have been in Florida and spending much of our time on Sunset Beach which is a residential beach community with the city of Treasure Island and adjacent to St. Petersburg. Sunset beach is a little dead end barrier island on the Gulf of Mexico and primarily made up of houses and small condos. There is little traffic, only two restaurants and a magnificent beach and small boardwalk along Boca Ciega Bay. Although we did most of our walking on the beach, we also walked through the community and noticed that many people had really special mailboxes. Here are a few of the better ones. 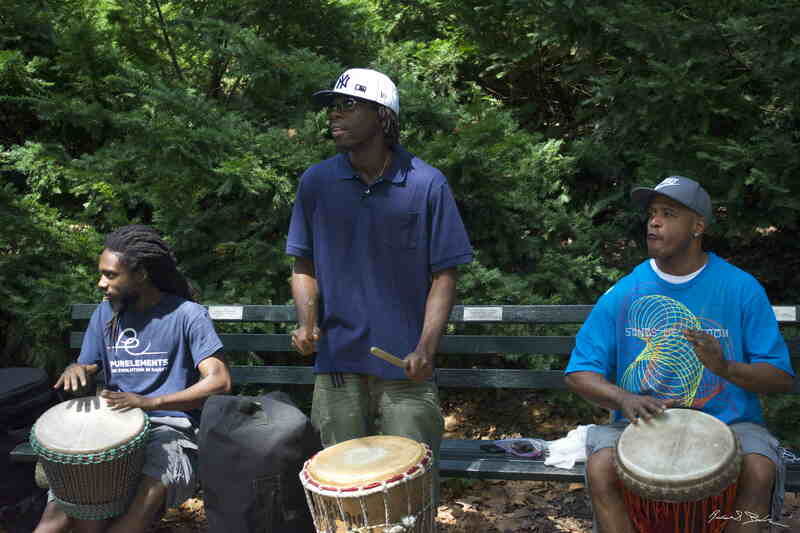 It is not unusual to see street musicians in the summer in any USA city. That is especially true for New York City and Central Park. It is also interesting to see how different musicians create changes in crowd behavior. A string quartet will cause people to sit or gather and quietly listen for a while. A folk singer may cause people to slow down or run away depending on the song and quality. Drummers though make people behave. People tend to walk quickly and in step to the beat. If I was the New York City Parks Commissioners I would pay these guys a fee to be near the most congested areas to keep the crowds moving. These guys were great and well worth a buck. See more images or buy prints and apparel at my commercial gallery. Waikiki Beach is world famous and crowded. It is like South Beach but on Oahu. You can see everything in Waikiki, surfing, swimming, sailboarding, street hustlers,vacationeers and scam artists. It is expensive to stay right on the beach and also expensive to rent surfboards there. These two young lady surfers found a very practical way for carrying their boards back to their lodgings. You can buy a print of this image on my commercial gallery by clicking here.